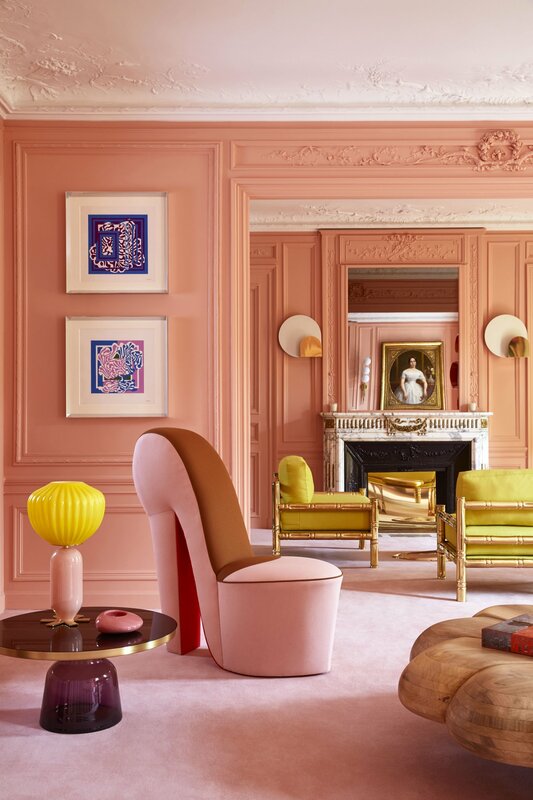 To push the door to this Parisian apartment is to enter another world; a world where seduction, sensuality, glamour, temptation, mystery, ostentation and incandescence infuses each space with a controlled eccentricity and non-conformist vocabulary. 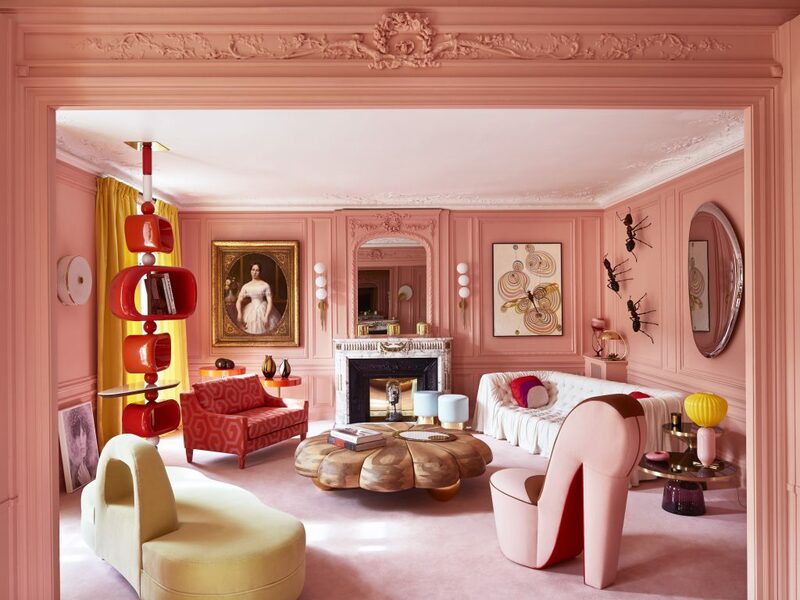 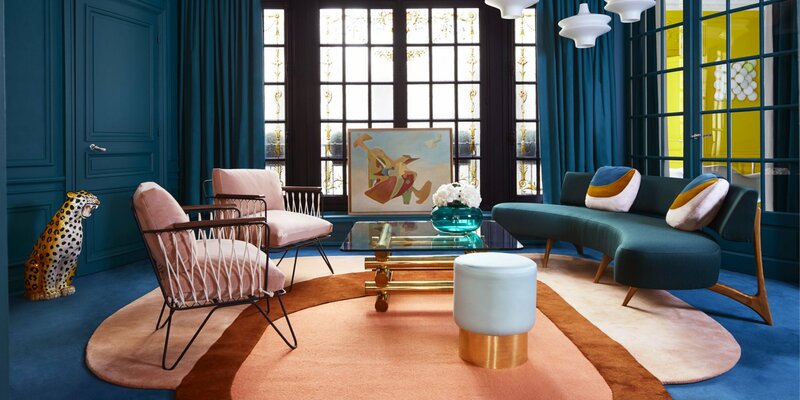 Studio RED ABSOLU principal Géraldine Prieur draws her inspiration from the boldness of Schiaparelli, Givenchy, Pucci, Alexander McQueen to name just a few illustrious houses. 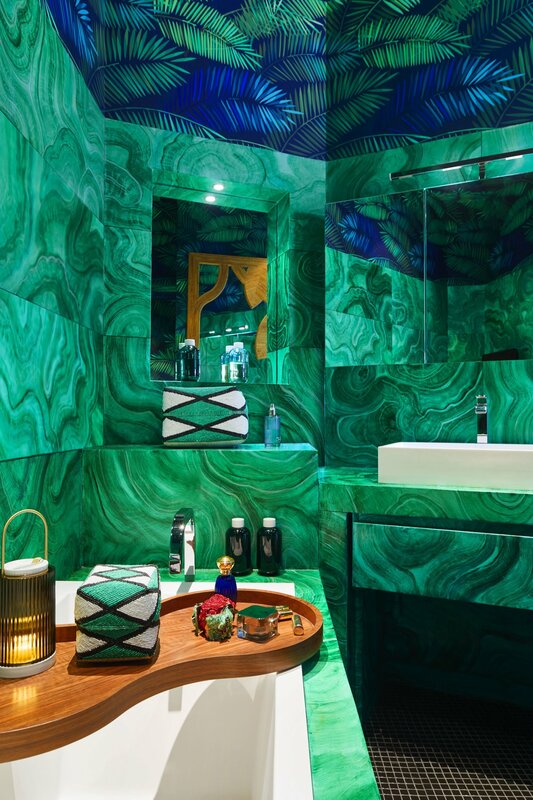 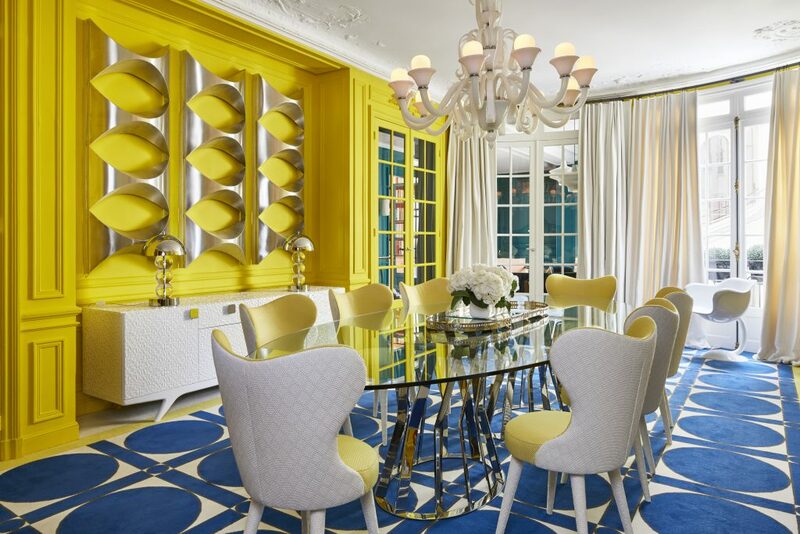 From Haute Couture, lingerie and jewelry her interiors and furniture creations are as bold as they are bespoke. 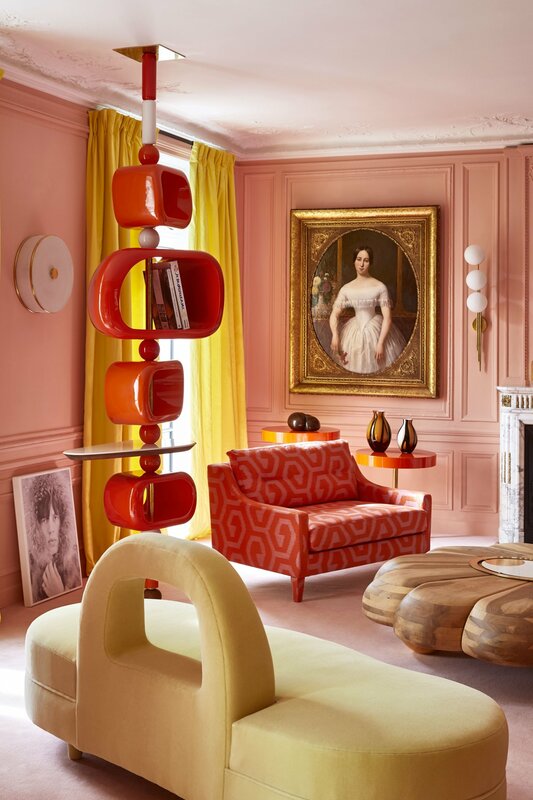 Traditional moldings, marble fireplaces and stained glass windows from the 19th century … Géraldine Prieur’s Parisian apartment has everything from the Haussmannian period except for the detonation of colour and whimsical furniture. 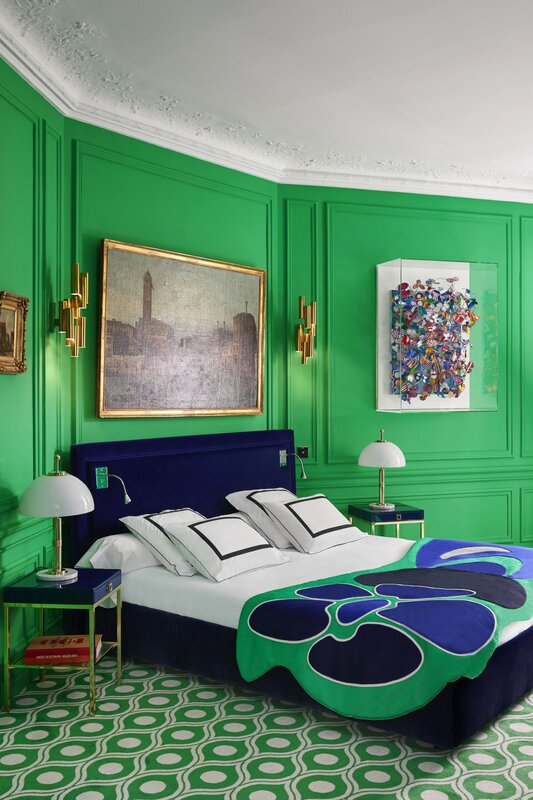 Items from art and design galleries, Paris’ flea markets and antique dealers are complemented by Prieur’s own designed furniture and textiles.